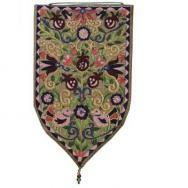 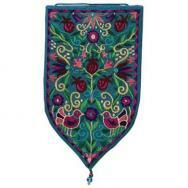 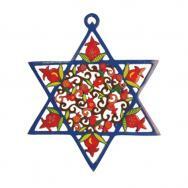 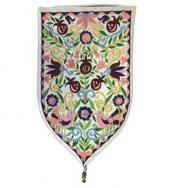 Yair Emanuel’s hanging decorations are exquisite works of art, adding color and beauty to the home and living room. 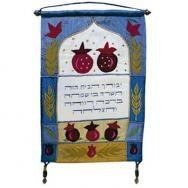 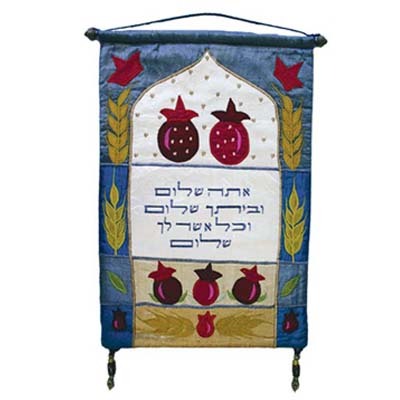 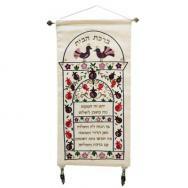 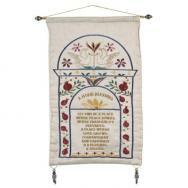 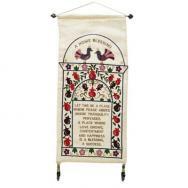 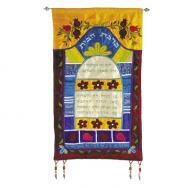 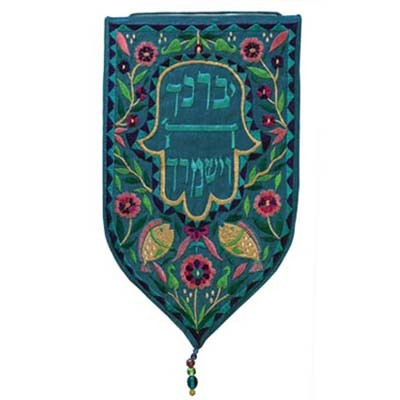 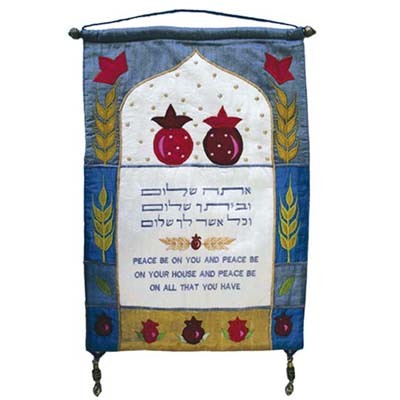 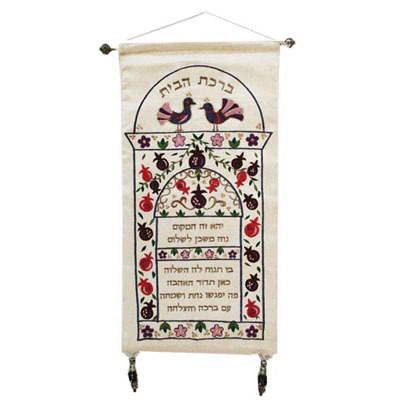 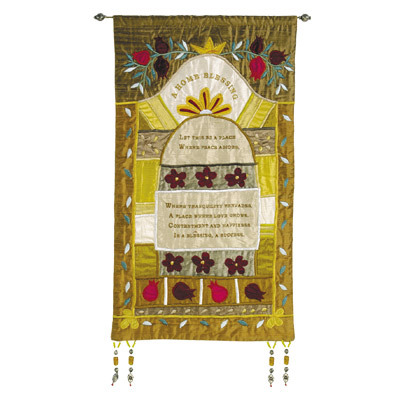 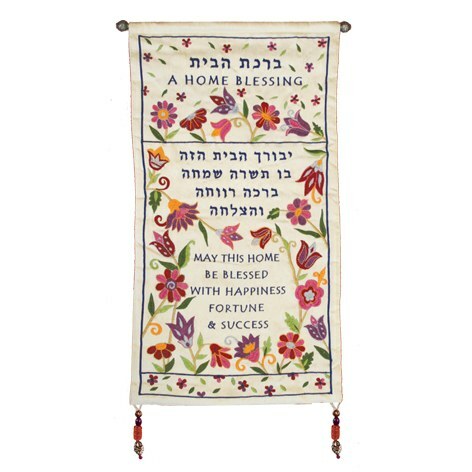 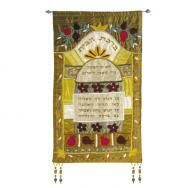 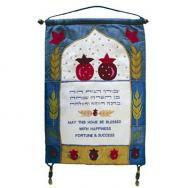 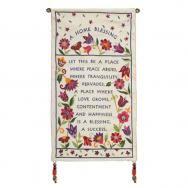 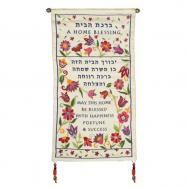 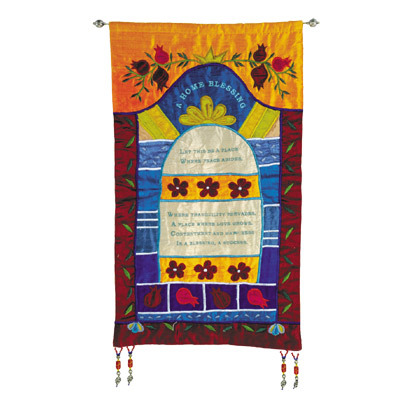 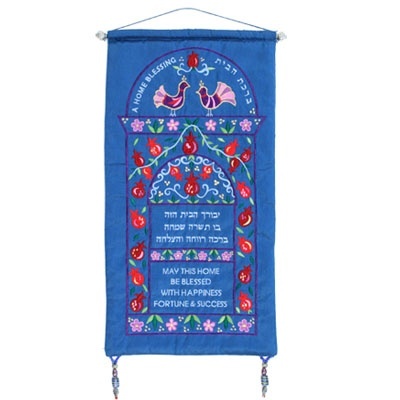 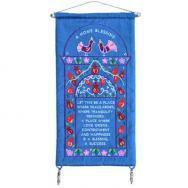 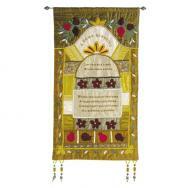 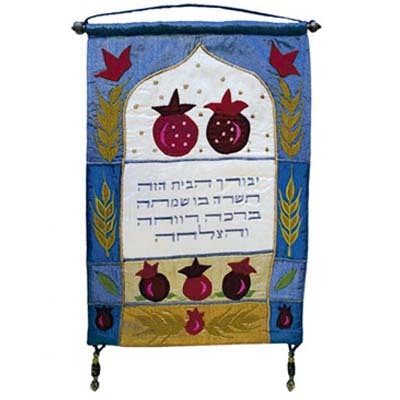 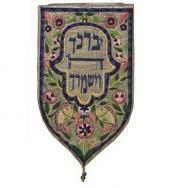 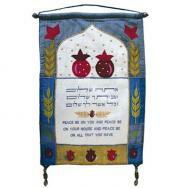 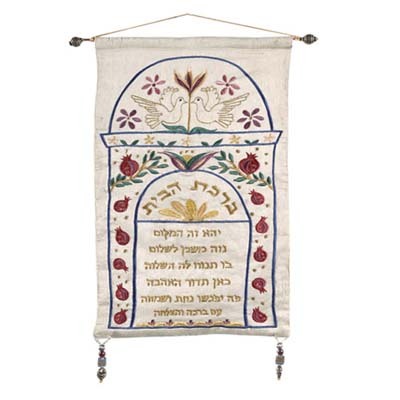 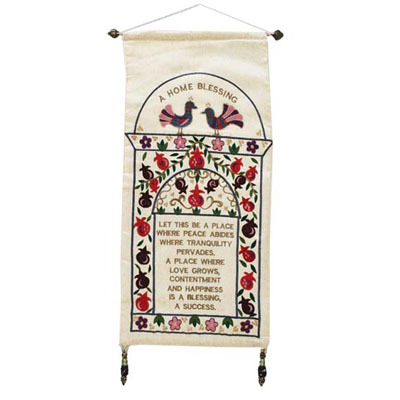 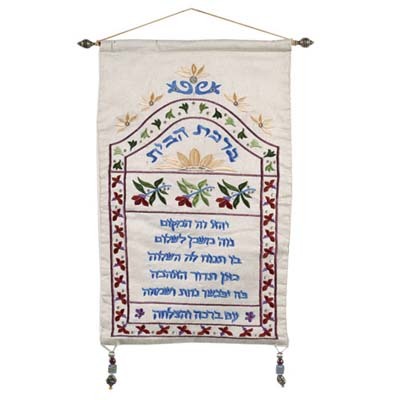 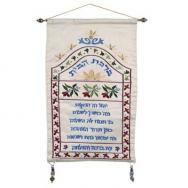 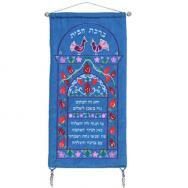 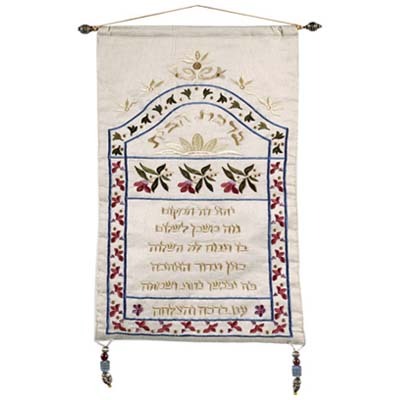 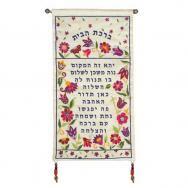 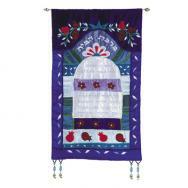 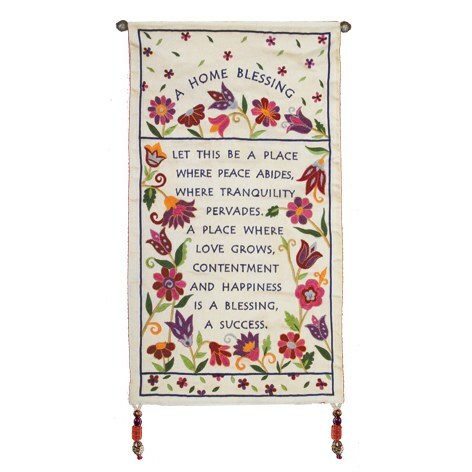 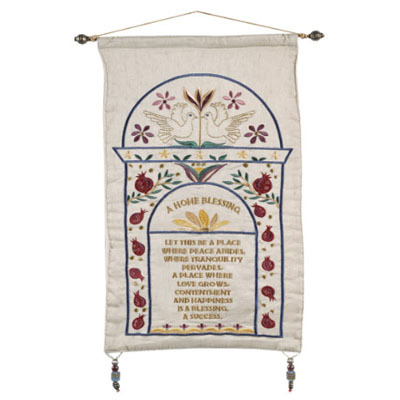 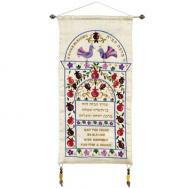 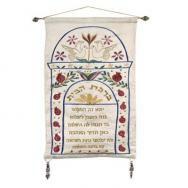 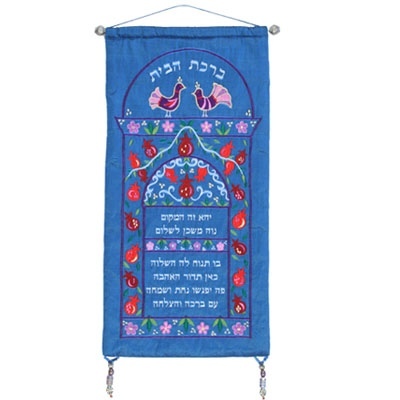 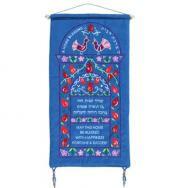 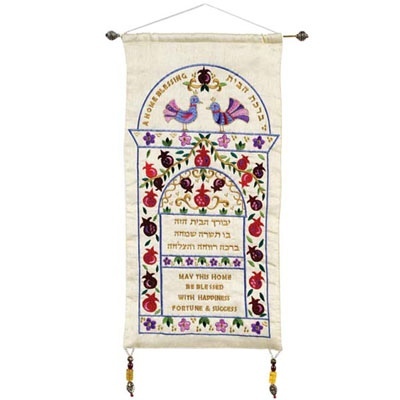 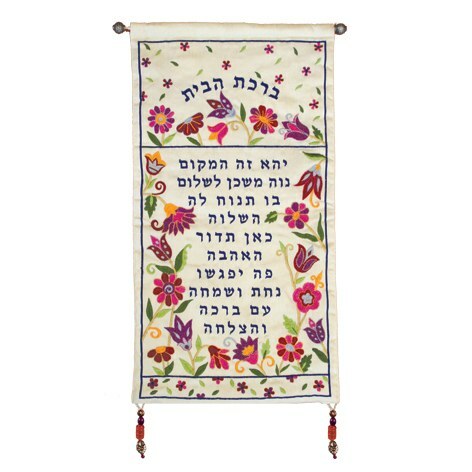 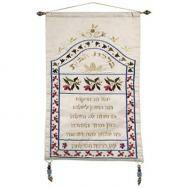 The hanging decorations are made out of fabric, embroidery, and raw silk, and are designed in various shapes and sizes, with Hebrew captions such as Shalom, Birkat HaBayit (Home blessing), Yerushalaim, and proverbs. 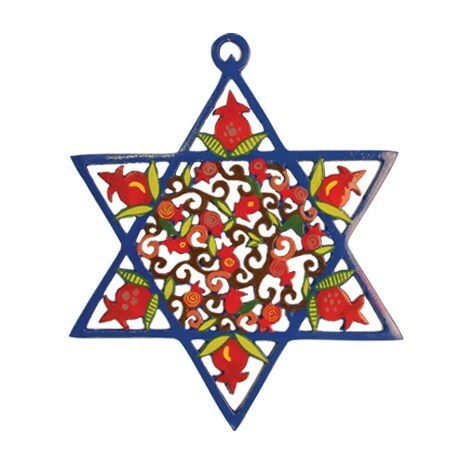 The designs on the items depict the city of Jerusalem, the Seven Species, oriental designs and Jewish motifs such as pomegranates and fish.